It is with great sadness that the family of Emil Hrycewich announces his passing after a brief battle with cancer, on Thursday June 15th, at the age of 71 years. Tears are falling, hearts are breaking, and not a moment passes without feeling a sense of loss. Such a strong, generous, loving family man. Emil will be lovingly remembered by his wife of 49 years, Phyllis, his children Randy (Nicole & Jaxon) & Rhonda (Jason) Tomlin. Emil’s pride & joy were his six grandchildren, Drake, Connor, Kohl, Tukker, Miranda & Dayton. Emil leaves behind 3 siblings Orest (Gloria), Adelle (Matt) Dmyterko, Shirley (Irwin) Reiger and the Alexander’s, honorary family in Australia, Bill & Jenny, Vannessa (Justin), Leesa (Lance),Troy (Mary), Donna (Phil) and 15 grandchildren. Emil was predeceased by his sisters Angie (Don) Gray, Jean (Mike) Petroski, parents Mike & Annie, niece Laurie Gray and nephew Michael Hrycewich. He leaves behind many aunts, uncles, nieces, nephews, cousins and friends. Honesty, integrity, honorable & talented have been the recurring words used to describe this wonderful man. Emil was a proud & humble man. 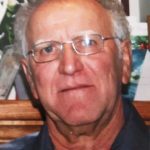 Owner/Operator of Hrycewich Contracting for over 50 years, he loved his work as a contractor. He took great pride in the work he did and was well respected. He enjoyed working, reading and spending time with his family. He always put everyone else first. Thank you to Dr. Grant Del Begio & staff at RIH and the Hospice House. Special thank you to brother in-law Ron Talerico of Golden for his multiple trips, love, support & presence through Emil’s final days. We will forever be grateful for your selflessness. There will be no service at Emil’s request. Should friends desire, donations in his memory may be made to the Marjorie Willoughby Snowden Memorial Hospice Home. We love you and we will miss you. Love, thoughts and prayers to the entire family. Wonderful, loving , caring and hardest working man I have ever known. He will be missed dearly. Sincere condolences on your loss. I well remember the work Emil did for my family and me several years ago in restoring our very old house and his commitment to doing the job right. Though I hadn’t seen him for a long time until just recently, I knew him to be a skilled and exacting tradesman.